Irma passed away Monday, August 31, 2015 at Borgess Medical Center in Kalamazoo. She was born June 10, 1942 in Kalamazoo the daughter of Jacob and Marguerite (Curkendall) Evans. Irma was a graduate of Otsego High School and had worked at Humphrey Manufacturing. She was also a horse handler who was active in 4-H as a member and leader and had been a member of the Plainwell United Methodist Church. In her spare time she enjoyed fishing and hunting for deer and turkey. Surviving are several aunts, uncles, cousins and many friends. She was preceded in death by her parents and brother, Bert Evans. Friends may visit with Irma’s family Thursday, September 3, 2015 starting at noon until the time of the Funeral Service at 1:00 P.M. at the Winkel Funeral Home, Otsego, with Celebrant Bill Rose officiating. Contributions in memory of Irma may be made to the American Cancer Society. Thomas passed away Saturday, August 29, 2015 at his home in Plainwell. He was born May 21, 1970 in Trenton, MI to Charles and Donna (Stewart) Wright. Tom was a 1988 Mattawan High School graduate who went on to attend Kalamazoo Valley Community College and the University of Detroit. He had worked for Target and Office Max. Tom loved sports especially golf and following the Detroit Lions. Surviving are his parents; siblings, Michelle (Bob Collick) Wright of Plainwell and Timothy (Laurie) Wright of Saugatuck; 5 nieces, Tesla, Cora, Lily, Chloe and Alissa; many aunts, uncles, cousins and friends. He was preceded in death by his grandparents and by his sister, Lisa Marie Wright. A private family burial will happen at a later time. Contributions in memory of Tom may be made to your local Humane Society. Ruth passed away Thursday, August 27, 2015 at Stanford Lodge in Plainwell. She was born September 29, 1918 in Allegan Township to Ludwig and Clara (Funk) Jennings. Ruth grew up in the Allegan, Minor Lake area and attended country school before moving on and graduating from Allegan High School. For many years Ruth helped run the family farm and during WWII she had worked at the Otsego Coating Mill, she had also worked at the Otwellegan Country Club, Tru Heat and had operated J&R Grocery, which she still owns, where she loved visiting with her many customers. Ruth enjoyed selling chickens and produce at the Kalamazoo Market, crocheting and knitting. She had large flower and vegetable gardens and liked canning the produce she grew each year. Ruth also enjoyed spending time with her grandchildren and wintering in Zephyrhills, FL. 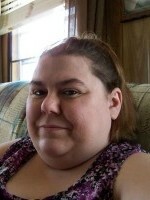 She had attended Allegan Bible Church and was active in the Ladies Bible Study. In 1937 she married John McClellan who passed away in 1993. Surviving are sons, Robert (Martha) McClellan, Daniel (Joyce) McClellan and Doug (Billie Ann) McClellan all of Allegan; 8 grandchildren; 13 great-grandchildren and 1 great-great-grandchild. She was preceded in death by her parents, husband, 2 sisters and a brother. Friends may visit with Ruth’s family on Tuesday, September 1, 2015 from 10-11 A.M. at the Winkel Funeral Home where a Funeral Service will be held at 11:00 A.M. with Pastor Joe Shaler officiating. Burial will follow at Hudson Corners Cemetery. Contributions in memory of Ruth may be made to Reverence Home Hospice. Joseph passed away Friday, August 21, 2015 at Lake Wales Medical Center in Florida. Mr. Boball was born October 8, 1912 in Martins Ferry, Ohio to the late Joseph G. and Margaret (French) Boball. He had been a resident of the area until he moved to Florida in 1983. 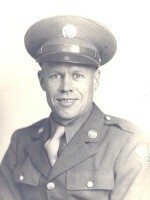 Joseph served his country in the US Army Air Corp during World War II helping to build airports and was involved with the invasion of Okinawa. He had been a gas manufacturer for Lake Side Refinery until his retirement. It was during the time of his life when he was working in the Bloomingdale oil fields that he met the love of his life, Pauline Irons and they have spent more than 75 years together. In his leisure time he enjoyed fishing, tenderly caring for his citrus trees and riding his motorcycle. On March 20, 1942 he accepted the Lord and Savior Jesus Christ as his Savior. He was a member of the First Baptist Church of Plainwell and the First Baptist Church in Frostproof, FL. Surviving are his wife, Pauline; 2 grandchildren; 2 great-grandchildren; several nieces and nephews. Joseph was preceded in death by his daughters, Maryann and Janice. Friends may visit with Joseph’s family Friday, August 28, 2015 starting at 10:00 A.M. at the Winkel Funeral Home, Otsego, until the time of the Funeral Service at 11:00 A.M. with Pastor George Osborn officiating. Contributions in memory of Joseph may be made to the First Baptist Church of Plainwell Missionary Fund. Natira passed away Tuesday, August 25, 2015 at her home in Plainwell. She was born December 15, 1978 in Kalamazoo the daughter of William Jr. and Nancy (Sinkler) Gray. Natira loved to collect DVD’s and color. She had worked at Safari Technologies and at several other area jobs. On November 4, 2000 she married Jonathan Nichols who passed away in 2014. Surviving are her parents, William (Sherry) Gray Jr. and Nancy (Thomas) Zeedyk; siblings, Tammy Gray, Sandra McPhearson and William Gray III; step-brothers, William Smith and Steve Gray; step-sister, Brandy Smith and by her dog, John Boy. She was preceded in death by her husband; grandparents and by her beloved dog, Peppermint Patty. According to her wishes cremation has taken place. A memorial service will be held on Saturday, August 29, 2015 at 1pm at the Plainwell Assembly of God. Contributions in memory of Natira may be made to the West Michigan Cancer Center. Agnes passed away Tuesday, August 25, 2015 at her home in Richland. 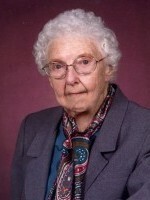 Mrs. Stevens was born August 13, 1918 in Kalamazoo to Cyril and Lillie (Cross) Kolhoff. 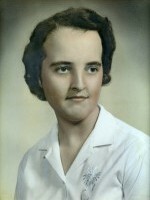 She was a 1936 Kalamazoo Central graduate and then went on to attend Marsh Business College. For many years she had worked for several area businesses including the Shoppers Guide, she had also worked 17 years as a postal clerk for the Richland Post Office. For many years she was a volunteer dispatcher for the Gull Lake Ambulance Service. Agnes enjoyed reading, sewing and knitting. She had been part of the Senior Services Knitters and made many things for babies and loved making quilts for her grandchildren. On November 21, 1940 she married Herbert Stevens who passed away in 1982. Surviving are her 7 children, Eleanor Miller of Kalamazoo, Lee (Mim) Stevens of Gaines, Frances Erskine of Delton, Terry Stevens of Richland, Gail Graham of AZ, Laurie (Kurt) Weymouth of Plainwell and Cherie (Marvin) Dow of Lawton; 12 grandchildren; several great-grandchildren and great-great-grandchildren and her brother, Bruce (Stella) Kolhoff of Allegan. She was preceded in death by her parents; husband; son, Herbert “Bert” Stevens Jr. in 2007; 5 brothers; an infant great-grandchild; and by her daughter-in-law, Doris Jean Stevens. Cremation has taken place. A Celebration of Life will be held Friday, August 28, 2015 at 11:00 A.M. at the First Baptist Church of Otsego with Pastor Merlyn Jones officiating. Following the service a luncheon will be held at the church. Private family burial will take place at a later time at Fort Custer National Cemetery in Augusta. 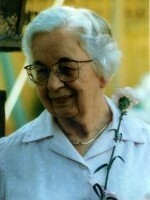 Contributions in memory of Agnes may be made to the American Diabetes Association or the Library of Michigan Foundation’s Talking Book Library. Frances passed away Thursday, August 20, 2015 at Bronson Hospital in Kalamazoo. She was born September 27, 1922 in Allegan to Rube and Frances (Gerry) Tubbs. On November 27, 1948 in Crown Point, Indiana she married Kenneth Klumpp. Together they enjoyed traveling and had been all over the US including trips to Alaska and Hawaii. Zeb was passionate about helping the disabled veterans and spent many years volunteering at the VA Hospital in Battle Creek. She liked laminating newspaper articles for people she knew and cared about and was known as the “little lady laminator”. 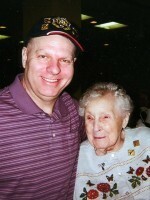 Zeb had also been a member of the Otsego VFW Post #3030 Ladies Auxiliary. Surviving are her many nieces and nephews; great-nieces and nephews, and helpful companion and “bodyguard” Chris Nevins. She was preceded in death by her parents; husband, Kenneth in 2002 and by siblings, Willard Tubbs, Betty Hofacker, Marge Sweetland, Mary Jean Anderson, Joan Salters and Sandy Tubbs. Friends may visit with Zeb’s family from 2-4 and 6-8 P.M. Wednesday, August 26, 2015 at the Winkel Funeral Home, Otsego. A Memorial Service will be held Thursday, August 27, 2015 at 11:00 A.M. at the Otsego United Methodist Church with Pastor Dan Minor officiating. Contributions in memory of Zeb may be made to the Otsego Veterans Memorial. Harold passed away Tuesday, August 18, 2015 at his home in Shelbyville. He was born April 3, 1928 in Hopkins the son of Ray and Marian (Drew) Linsley. He served his country in the US Army during the Korean War and was a member of the Otsego VFW Post #3030. Harold was the print shop supervisor at Parchment Paper until his retirement in 1983. In his spare time he enjoyed playing cards especially poker and cribbage. He was very handy and liked working on homes and solving problems. He also loved sports and was an avid Detroit Tigers fan. Harold was married to Margaret Harmon who preceded him in death. Surviving are his sister, Nellie Pegg of Alamo Township; many nieces and nephews; step-children, Jack (Donna) Harmon of Grand Rapids, Jim (Peggy) Harmon of St. Joseph and Tom (Judy) Harmon of Otsego, along with many step-grandchildren and great grandchildren. He was preceded in death by his parents; wife, Margaret; brother, Virgil; sisters, Darlene Cox, Eleanor Horrocks and Patricia Neuman; infant sister, Pauline; infant brother, Billie and by his brother-in-law, Ken Pegg. Friends may visit with Harold’s family from 5-7 P.M. Monday, August 24, 2015 at the Winkel Funeral Home, Otsego where a Funeral Service will be held Tuesday, August 25, 2015 at 11:00 A.M. with Jim Harmon officiating. Contributions in memory of Harold may be made to Wings of Hope Hospice of Allegan. 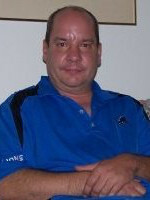 John Boers of Plainwell passed away Saturday, August 15, 2015 at his home. Mr. Boers was born August 11, 1946 in Kalamazoo, the son of James and Evelyn (Scott) Boers. John served his country in the Air Force during the Vietnam war and later in the Air National Guard. He had worked for Torin Mfg. in Kalamazoo and later retired from the Perrigo Company in 2008. 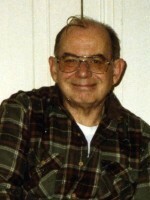 In his leisure time he enjoyed fishing, bowling, doing yard work and especially loved being up north in Traverse City. On July 19, 1985 in Kalamazoo he married Ruby Kingsbury who survives. Also surviving are his children, Mark Boers, Jillian Boers, Melissa (Mark) Paff, Adam (Dawn) Boers, Jenelle (Pete) Stewart and Mark DuBois; several grandchildren; 2 great grandchildren; a brother Thomas (Deryl) Boers and several nieces and nephews. He was preceded in death by his parents and a grandson Adam John Boers Jr.
Friends may visit with John’s family Monday, August 17, 2015 from 2-4 and 6-8 P.M. at the Winkel Funeral Home, Otsego where a Funeral Service will be held Tuesday, August 18, 2015 at 11:00 A.M. with Pastor B.J. Luce officiating. Burial will follow at Mount Ever-Rest Memorial Park with Military Honors by V.F.W. Post #3030 and the Michigan Air National Guard. James J. Hewitt, the ‘Music Man’, who loved music and playing the trumpet which in turn was the catalyst that would affect Jim’s entire life, died peacefully on Wednesday, August 12th in the morning at Bronson Methodist Hospital. Jim was born on November 22, 1928 to James and Vera (McKinney) Hewitt in New Philadelphia, Ohio. He had an older brother Edward. Jim began playing the trumpet in the 8th grade, and as the saying goes ‘the rest is history’. He went on to play in many dance bands as he got older. Jim served in the Air Force during the Korean Conflict, but was assigned to be in the Air Force Band. He graduated from Capital University in Columbus, Ohio with a Bachelor’s Degree in Music in 1952. 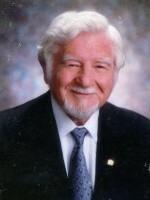 He went on to obtain a Master’s Degree in Education at Wayne State University in 1959. In 1953 he married the first love of his life, Miriam ‘Mimi’ Bauer and that year he also began his 32 years of band directing. Jim’s first directing position was in Marine City, Michigan. He moved to Flint North Western in 1964 and continued there until he moved to Otsego Public Schools in 1973, where he was employed until his retirement in 1985. The American Legion Band of Holland was his musical home where he played trumpet for 20 years. He was also in the Grand Rapids Symphonic Band for 7 years. Music was Jim’s life and he has touched countless musicians of all ages. He has taught private trumpet lessons for years in the Otsego Schools and the surrounding area, and also in his home. During the 1982-83 school year Jim formed the Otsego-Plainwell Community Band. It was set up as an outreach of the Community Education Department of the Otsego Public Schools. The name was changed in 2005 to the River Cities Concert band. Jim’s good friend, Plainwell band director, Donald Agne had a choir, so they worked out a deal where Jim sang in his choir and in turn Donald played in Jim’s band. Jim’s professional memberships include the Michigan School Band and Orchestra Association, the World Association of Symphonic Bands and Ensembles and the American School Band Director’s Association, where he served as President. In addition to those mentioned, Jim was a Charter Member of the Hope Lutheran Church in Plainwell. He was heavily involved with the Plainwell Music Society, even holding the office of President for a time. Wherever Jim lived he was an active member of the local Lion’s Club. Although a member of American Legion Post #84 in Otsego, he assisted the VFW Post #3030 with bugle details for funerals. Jim volunteered his time to travel all over the area just to play TAPS, not only in Otsego and Plainwell, but Martin, Kalamazoo, Allegan, Gobles, Battle Creek and Fennville. Jim’s wife Mimi passed away after a long and courageous battle with Alzheimer’s Disease. Jim was to meet Patti Khodl in an office setting. She was his doctor’s nurse. Neither were ‘looking’, but due to the urging of Dr. Ana Frunza and nurse, Cathy Fritz they were instrumental in getting Jim and Patti together. On March 25, 2006 they married in the Otsego Methodist Church. In spite of their 20 year age difference they ‘hit it off’ and enjoyed their life together. They created their own little family with dog Bucky (named because Jim is an Ohio State fan) and with cats Chloe, Emily and Holly. Jim is survived by 2 children, Mike of Chicago, IL and Mary Beth (Chad) Premeau of Merrill, WI; a granddaughter, Kayla Premeau of Milwaukee, WI and a grandson, Mischa Premeau of Milwaukee, WI.